Indicator Warehouse Customer Completes $150k TST Combine Only Using DTS! Recently I wrote about the power of setting S.M.A.R.T. trading goals. 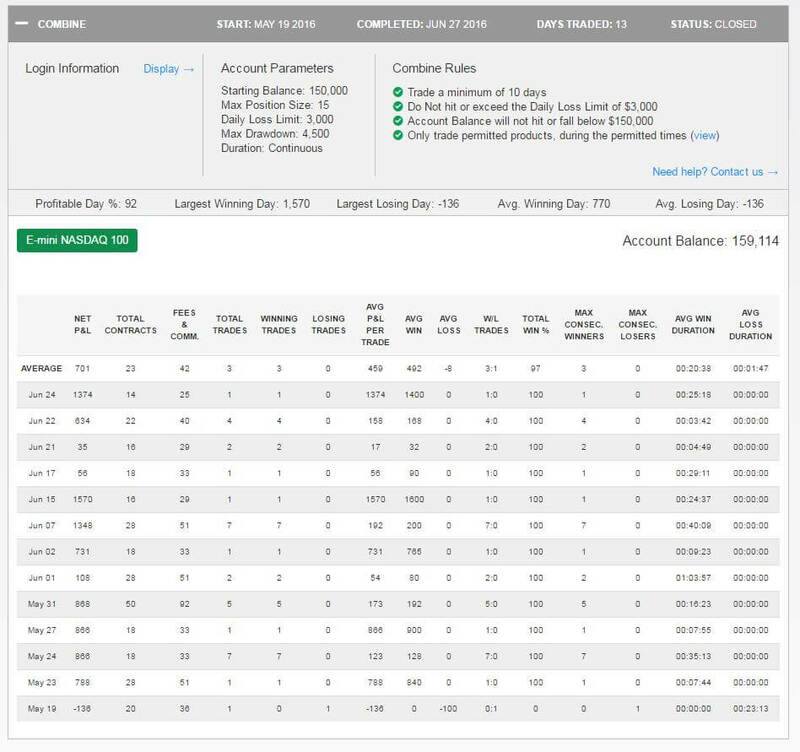 So, I could not have been more pleasantly surprised when I received an email from long time customer, Achim Stollem, that he completed his Topstep Trader $150k Combine using nothing more than the Diversified Trading System! Achim documented his entire Combine track record in his Tradervue Trading Journal, including screenshots of all the trades. Here are his Combine statistics. DTS for NinjaTrader was the first trading system to use traditional portfolio risk management principles for intra-day trading. DTS uses three separate trading systems and integrates them into trade signals for the futures, forex, and stock markets. Tradervue was started in 2011 by Greg Reinacker (formerly founder and CTO of NewsGator). The site is intended to offer active stock, futures, forex, and option traders a tool to help them keep a trading journal, and eliminate the busy work associated with keeping that journal. It also offers analytics to help quantify trading performance, potentially leading to the identification of patterns that may have been hidden. ‹Older post Trade as I Say, Not as I Do – Really?